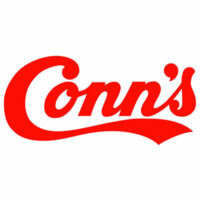 Conn’s HomePlus is a department store that offers its customers with electronic products, furniture, and appliances. It is based mainly in the United States. The store was opened as a plumbing and heating company in 1890 in Beaumont, Texas by Edward Eastham. In 1934, Carol Washington Conn, Sr. purchased the company and renamed it to Conn Plumbing and Heating Company. After more than 125 years, the company is now one of the fastest growing stores in the country. With its employees in more than 100 stores nationwide, the company continues to improve and innovate. Its employees are provided with other benefits such as retirement plans, generous vacations and holidays, advancement opportunities, healthcare assistance, and insurance. Aside from those benefits, the company gives its employees the opportunity to purchase company stocks in a lower price. Employee discounts on company products are also offered. How old do you have to be to work at Conn’s? The age requirement for applicants to work in Conn’s is 18 years old and above. Sales Associate: This person interacts directly with the customers to assist them when they visit the store. The sales associate also strives to meet the target sales of the company. Sales Operations Manager: This person is responsible for orienting the employees on what they need to do. The sales operations manager ensures that the warehouse areas are maintained properly. Cashier: This person is tasked to process the transactions of the customers whenever they purchase in the store. The cashier is expected to be skilled in dealing with the customers. Service Technician: This person is responsible for checking and repairing the customer’s appliances. The service technician is expected to be approachable and friendly. The store also offers other job opportunities in its different branches such as warehouse check-in clerk, general facility distribution manager, warehouse cross dock lead, and warehouse general associate. The applicant needs to register in the company’s website to apply. Registered applicants can also update their profiles for it to be more appealing to the hiring manager. The store uses online application for its hiring process since its branches are scattered all over the country. With this method, management can keep track of the applicants efficiently. The applicant must understand well the responsibilities of the job he/she wants to apply in. Make sure that he/she has the necessary skills for that job. The resume must be free from grammatical and typographical errors. Organize it in a way that the most important details are placed first. The hiring manager may ask situational questions about dealing with customers and work responsibilities. The applicant must properly support his/her answer. The company does not only think of earning a profit or hitting the sales target for the month. It has participated in programs that empower children and encourage employees in making the community a better place. This year, the company partnered with Little Free Libraries to give 50 handcrafted houses to different communities in 13 states. This effort was recognized by the Library of Congress. The company is known to be a good employer because of its policy on giving equal opportunities to all applicants regardless of their gender, sexual orientation, nationality, disability, and color. It started a program that helps children achieve their dreams. Conn’s Cares works with First Book to provide children with the resources they need for their education.